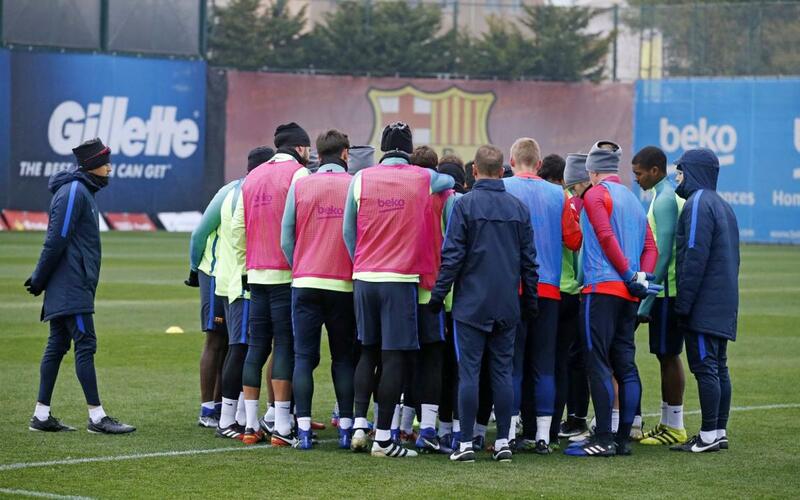 The Barça squad has been announced for Thursday’s Copa del Rey quarter final second leg at the Camp Nou. It was already known that the injured Sergio Busquets, Andrés Iniesta and Rafinha would be missing out on the match with Real Sociedad, while Luis Enrique has decided to leave Ter Stegen out of the team for the 9.15pm CET kick-off as well..
That means a return to first team action for Javier Mascherano after missing the weekend’s league trip to Eibar through suspension, while Jordi Masip has also been called up for one of the two goalkeeping berths along with Jasper Cillessen. The full squad of eighteen for a game in which Barça start with a one-goal lead from the first leg in San Sebastián is therefore as follows: Cillessen, Masip, Piqué, Rakitic, Denis, Arda, Suárez, Messi, Neymar Jr, Mascherano, Paco Alcácer, Jordi Alba, Digne, Sergi Roberto, André Gomes, Aleix Vidal, Umtiti and Mathieu.